The aim of Infrastructure Victoria’s research on Transport Network Pricing is to examine ways to get the most efficient use out of the transport network. Our research includes using a new approach to transport modelling to understand how people move around Melbourne and identifying measures to better manage Melbourne’s transport demand. The program is building on the work undertaken for Victoria’s 30-year infrastructure strategy, which included a recommendation for transport network pricing to be implemented in 5-15 years, and discussion papers The road ahead and Five-year focus: Immediate actions to tackle congestion. The Five-year focus paper identified key problem areas now and in the future on Melbourne’s transport network and examined what can be done over the next five years to improve travel time and reliability. improve road connectivity on parts of the network where private vehicle use works best. 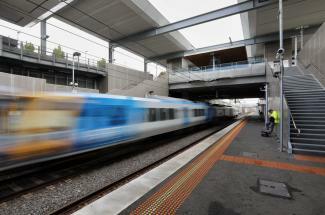 To find out more about Infrastructure Victoria’s recommendations, download Five-year focus. Some of Infrastructure Victoria’s work on transport network pricing uses the Melbourne-based activity model, a first for Australia. Click here to read more about the model. In February and March 2019, Infrastructure Victoria convened a community panel to consider changing the way Victorians pay for the transport network. The panel of 38 Victorians worked together over four weeks to consider the question: Under what conditions, if any, would the community accept a change in the way Victorians pay for roads and public transport? The community panel detailed eight conditions under which they would accept a change to the way they paid for roads and public transport. Read the community panel’s report for more details.